Here in the UK, today is known as Boxing Day. The term is also used in a number of other countries including Australia, Canada, Guyana, Jamaica, Kenya, Hong Kong, New Zealand, and South Africa. 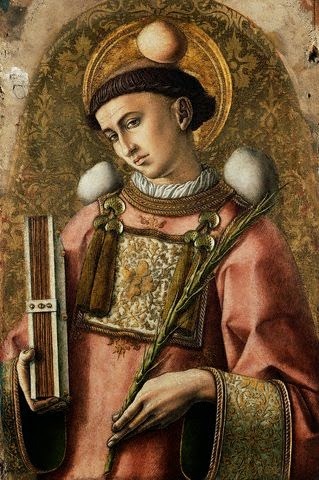 In other English-speaking Christian countries, the day is also referred to as St. Stephen's Day, which is obviously a religious holiday named for the man commonly known as the Church's first martyr. In fact, as a Greek-speaking saint, Stephen comes from the Greek term Στέφανος (Stephanos), which means crown. While the etymology of St. Stephen's Day is far too obvious to be of any interest to us, we are interested in why we'd refer to this particular date as something as odd as Boxing Day. Research seems to indicate that the boxing in Boxing Day sadly has nothing to do with the sport. Instead, the word refers to the container. It's said that on this day tradespeople would receive their gifts in the form of a Christmas Box. It is also thought that due to the common practice in Europe of donating to the poor, the name is a reference to the alms boxes that were common in churches throughout the Middle Ages. On this date in the UK, more items are returned to shops than any other day of the year. Even though this doesn't affect the name, it seems that the tradition of putting stuff into boxes is continuing even today. Hopefully your Christmas presents were to your liking and you won't be taking anything back to the shops today. Take care! Get It Right: e.g. and i.e.